Here is Edwina, my latest dress collection. I really like how the picture turned out. They look like they are ready to start out on an adventure, or maybe they are just a local literary society currently reading Sherlock Holmes? 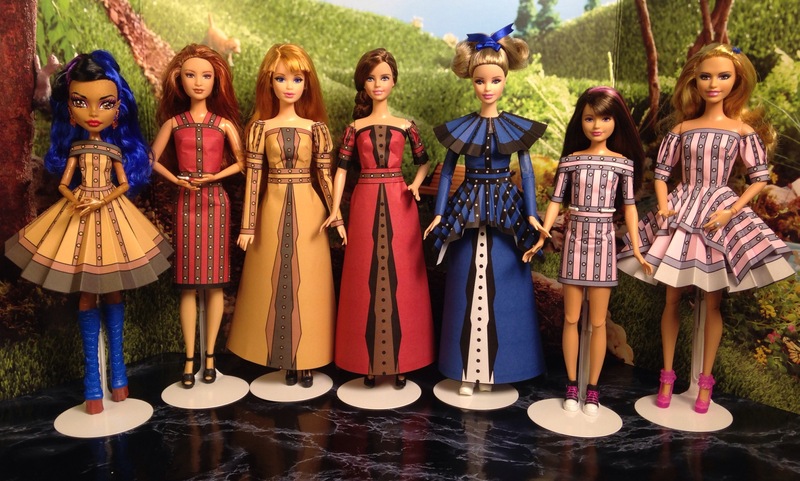 Incidentally, I was listening to the unabridged “The Return of Sherlock Holmes” while I designed and made these dresses. Which of the three students was it who copied the test questions in the professor’s study? Holmes was certainly able to figure it out and thus I now know:) Maybe not one of the cases with a great deal hanging on the outcome, though the test was to figure out which student was going to get a very valuable scholarship, but still interesting and amusing. Now to find out what awaits in the next adventure… After all, it is Elementary, my dear Watson, once you eliminate the impossible, whatever remains, no matter how improbable, must be the truth!